NOTE we are unable to accept debit/credit card applications at this address. When ordering by post please enclose a DL size (218mm*110mm) stamped addressed envelope. Failure to enclose an sae will result in a delay in your receiving your order. Be sure to use the correct postage for the envelope you are using. Applications incorrectly stamped and incurring excess postage, will not be collected from the Royal Mail. 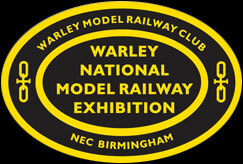 Cheques and Postal Orders to be made payable to Warley MRC Exhibitions Ltd. Final date for receipt of advance ticket orders to the above address is Friday 9th November 2018 We cannot guarantee despatch of tickets after that date. Ticket Factory Tel: 0844 5810737 - Calls cost 7p per minute + your phone company's access charge. NOTE advance copies of show guide/magazine may now be added to your order via The Ticket Factory, but with a closing date of 9th November 2018. Prospective visitors are advised that the NEC charges a vehicle parking fee. This is currently set at £12/car for ALL cars. For more information visit the NEC website. Accompanied children under 5 years of age admitted FOC. 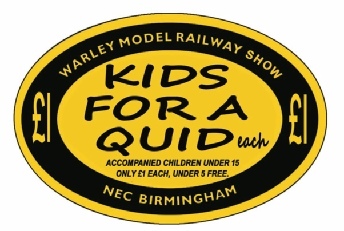 For all IN ADVANCE ticket orders over £200 total, subtract a further discount of 50p per ticket from the prices above. NOTE This deal is only available via the advance ticket sales address below and is NOT available via the NEC. If you need the assistance of a carer then one person shall be admitted free of charge. Just make the situation clear when you buy your tickets. For all you need to know about how to get your tickets scroll down the page. Please note that there may be a short delay between ordering and receiving your tickets. Advance ticket holders ONLY will be admitted to the exhibition at 09.15 both days. Purchasers of tickets bought on the day will be admitted at 09.45. We recommend that because of the size of the exhibition you allow sufficient time to see it all.